Here are a couple portraits presented in Detroit recently. 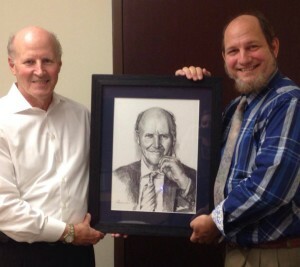 The “big wig” on the left is now part of a series of graphite portraits of his predecessors, many created by my father over his long career of his predecessor. I’m not at liberty to reveal his identity until after the official presentation, but you are welcome to guess. 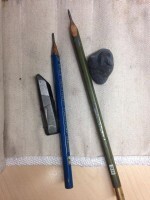 Here are some of the implements used to make this graphite drawing, used by my father to make his earlier drawings. 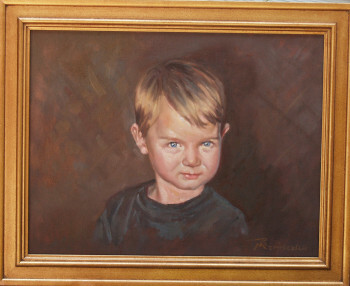 Also while in Detroit, I delivered a portrait of Andrew, to his ecstatic parents. I love the engaging, compelling look he is giving the future to wonder about.